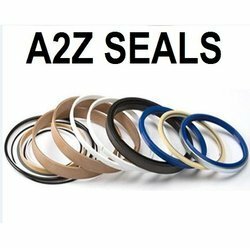 Owing to affluent industry proficiency and experience, we are involved in providing a wide series of Colored Metal Plastic Seal. In order to keep pace with never ending demands of the customers, our company is instrumental in offering Padlock Security Seal. Color: Red, yellow, green, blue, white. This seal is widely used in the carpet industry, all across India by the Carpet/Rug manufacturers. This seal is the identification of the manufacturer. Kohinoor Slide Rules Fabrik P. Ltd. Anyone looking seal lock moulding can contact. Quantity doesnt matter. Available at cheapest prices. Owing to the dedication of professionals, we are engaged in offering best and perfect quality assortments of Padlock Seal. These seals are designed with utmost sincerity and hard work. 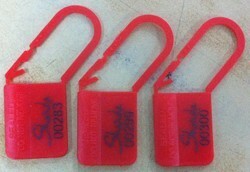 They are plastic made and very durable too. These seals are perfect in finish and available in many specifications. These seals are easy to use.